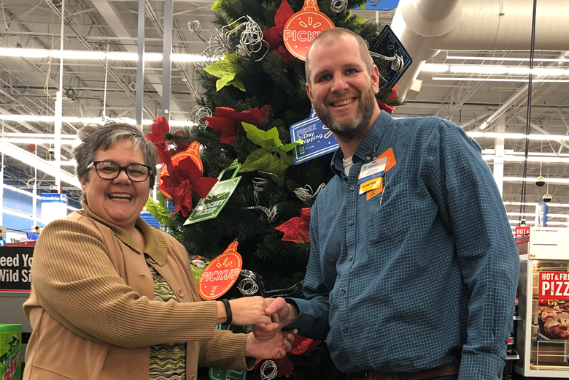 ​We are excited to announce that Forgotten Angels, with The Pennyrile Area Development District, received a grant from Walmart Giving. We can’t wait to put this grant to use to help ensure a bright Christmas for 320 of our areas Forgotten in Personal Care Facilities. Pictured is Hopkinsville Walmart Store Manager, Josh, and District Ombudsman, Cindy Tabor. We want to give a big shout out to Josh and everyone from Wal-Mart for making this possible!! You guys really ROCK! Many Angels are still available for adoption at 300 Hammond Dr.